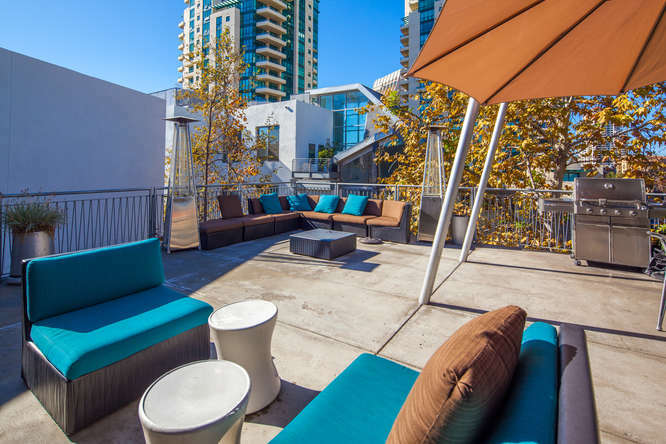 Atria Condos are conveniently located in the heart of the Marina District in Downtown San Diego. 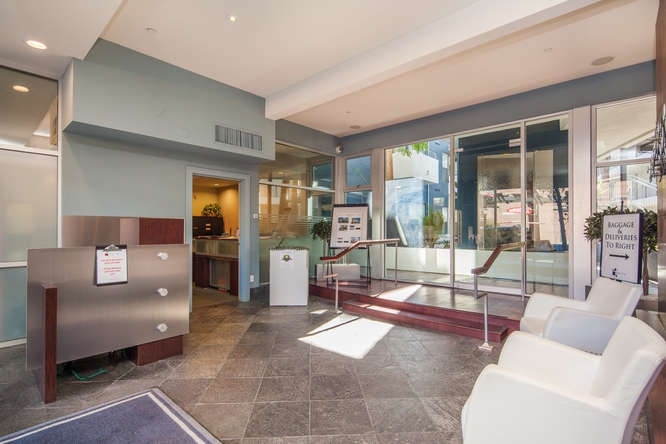 Atria has two addresses which include 101 Market Street and 120 Island Avenue. 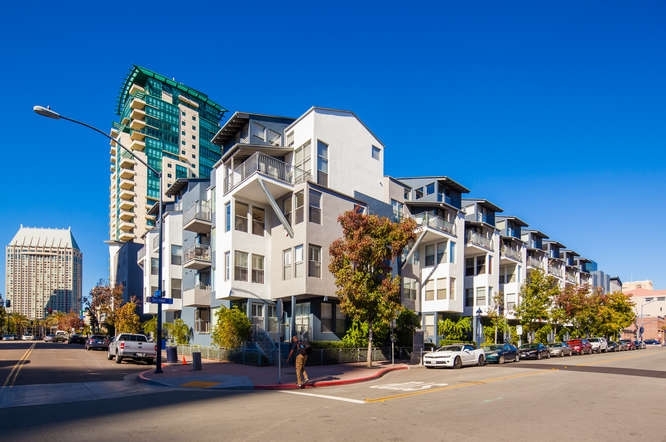 and the community encompasses the entire city block bound by First & Second Streets. 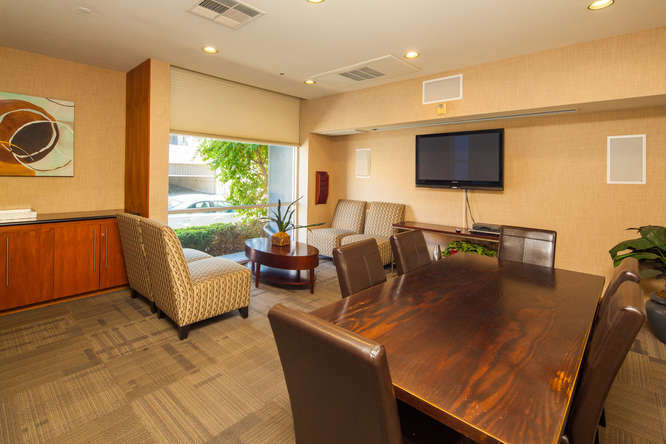 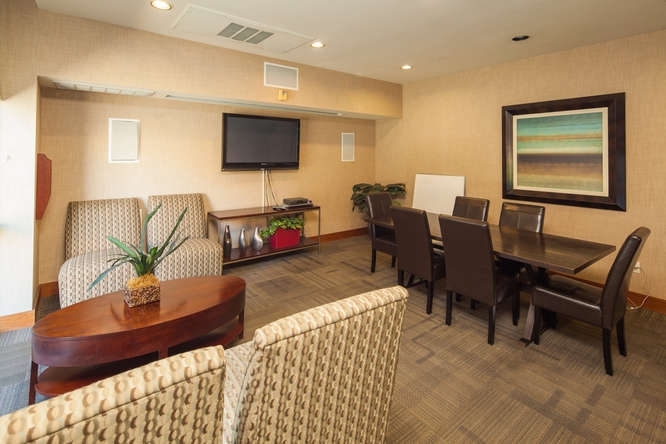 Atria sits just 3 blocks from the San Diego Bay and just two blocks from the convention center. 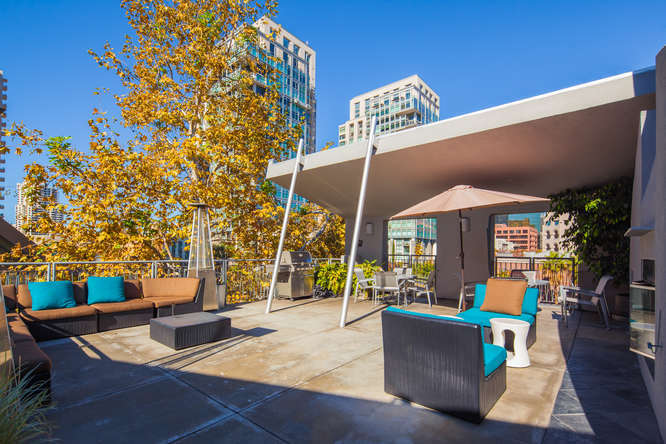 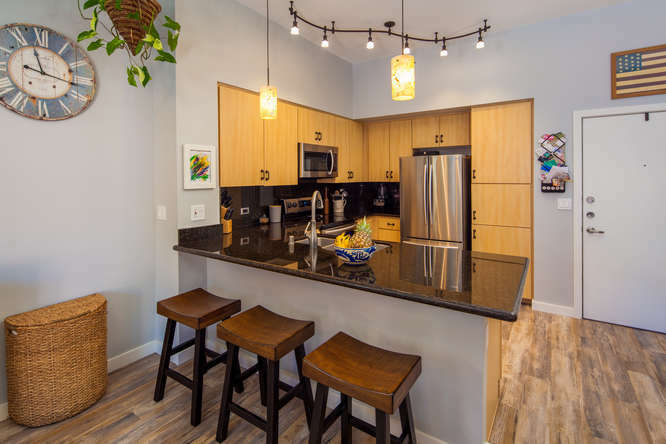 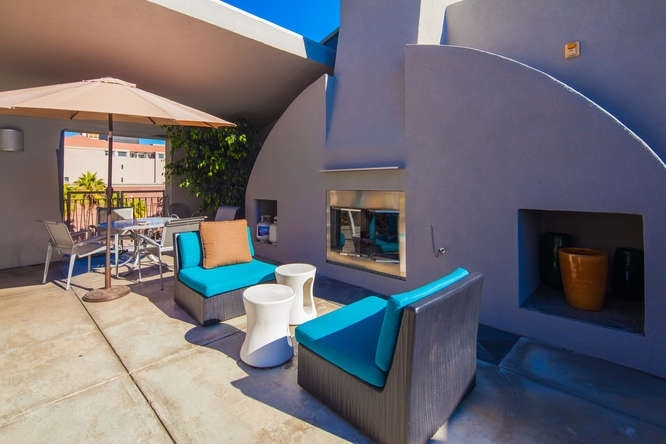 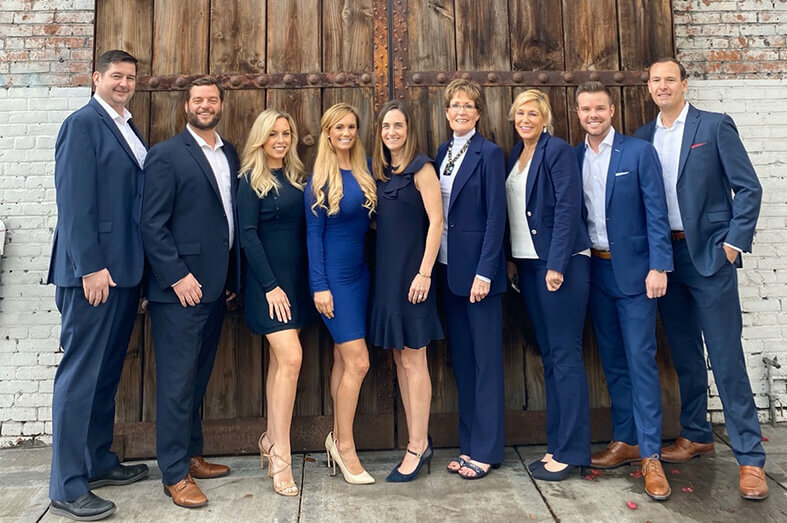 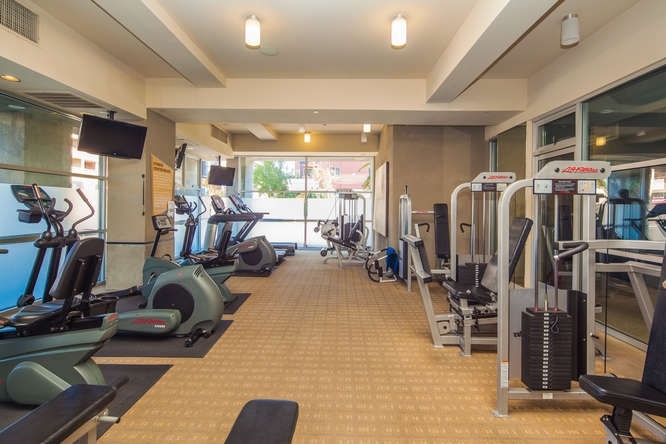 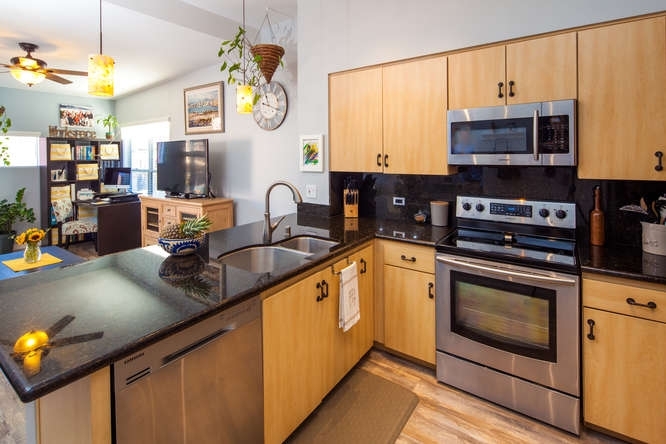 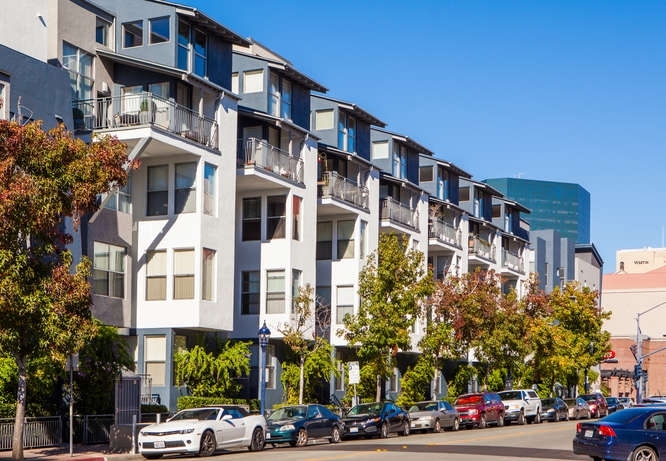 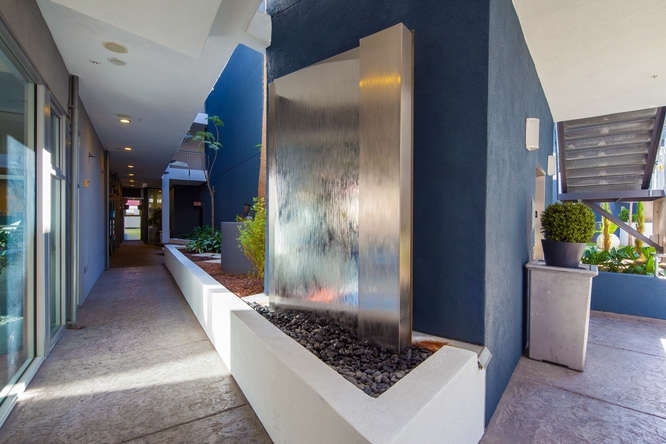 Atria is surrounded by high-rise luxury condos and is within minutes to to Ralphs Grocery Store, Horton Plaza, the Gaslamp Quarter, and Downtown’s finest boutiques. 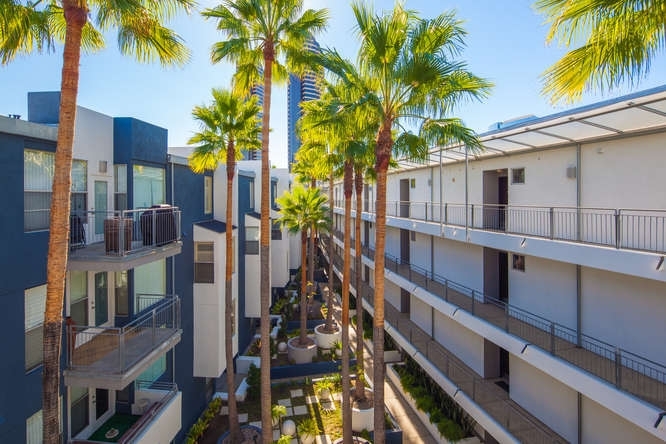 Atria in Downtown San Diego was developed by Hammer Ventures in 2005 and contains 149 residential units and over 11,000 sq ft of commercial space. 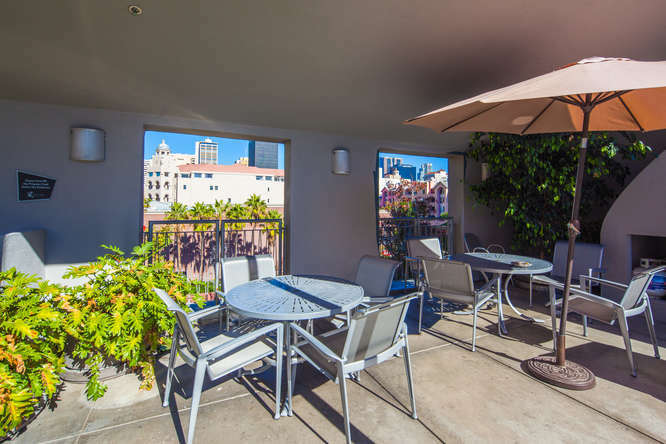 The commercial space at street level runs along the west side of the property and includes Lion Coffee house, A veterinarian clinic, and residential real estate office. 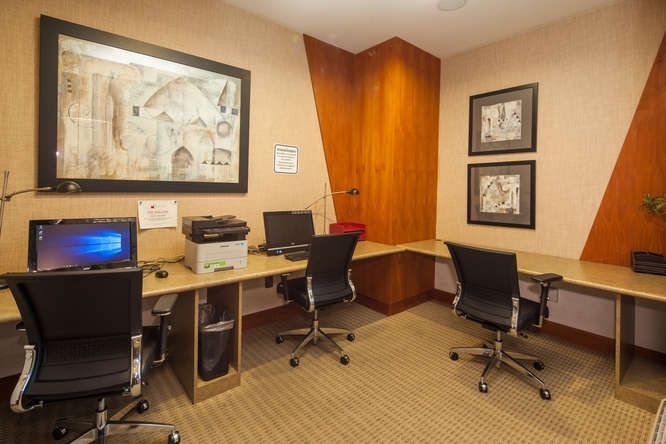 Atria Condos feature two 5 story low-rise buildings with an urban canyon in between. 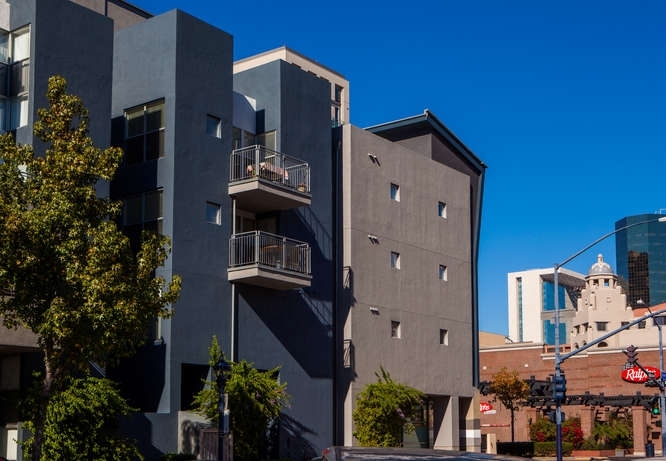 The entire building was repainted in 2016 and changed from a red color to a modern charcoal grey and white combination. 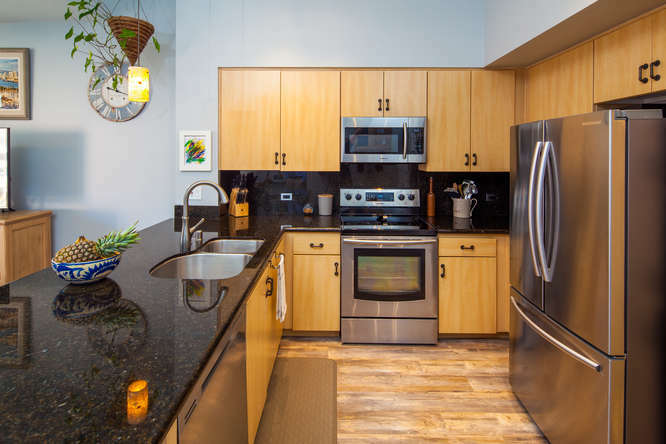 Atria floor plans include studios, lofts, 1 and 2 bedroom flats and 3 bedroom multi-level townhomes. 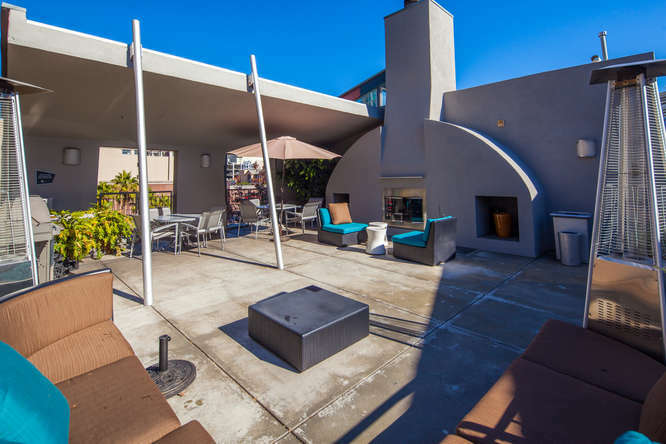 This complex has two separate structures separated by a courtyard which is directly above an earthquake fault line. 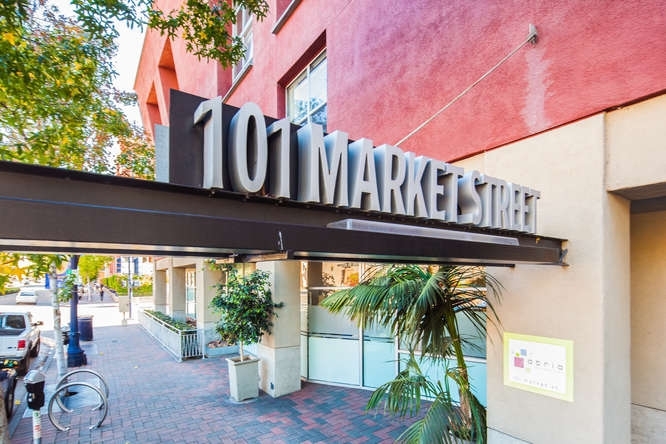 This building used to be “101 Market Street” apartments and was converted in 2005 to condos with sales of the units lasting into 2010.